Born in Godalming, Lintott began his football career with Woking and also played for the Surrey County side. Whilst training to be a teacher at St Luke's College, Exeter, he played for Devon and made his two appearances for Argyle. He then settled in London, where he worked at a school in Willesden and continued to play as an amateur for Queens Park Rangers. During his time at QPR he helped the club win the Southern League in 1908, played in two Charity Shield matches against Manchester United and won five amateur caps for England. Lintott became QPR's first full international when, after he had turned professional, he played for England against Ireland, Wales and Scotland in the British Championship. In November 1908 he signed for Bradford City and the following year helped the club win the FA Cup. Also in that year, he was called up to a Football League Representative side to play the Irish League. 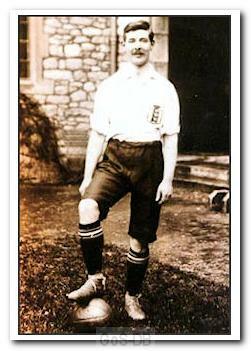 Whilst at Bradford City, he won a further four full caps, contributing to England's victory in the 1909 British Championship and an 8-2 victory in a friendly against Hungary. Lintott was highly thought of by his fellow players, as was demonstrated in 1910, when he was elected chairman of the players' union, the PFA. In 1912, he moved to Leeds City under the great Herbert Chapman. 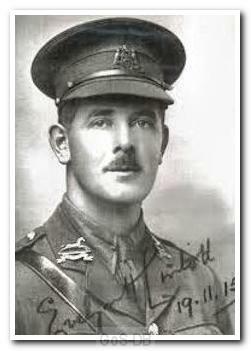 When war broke out, Lintott was one of the first players to sign up, joining the 15th Battalion West Yorkshire Regiment, known as the Leeds Pals. His promotion to lieutenant made him the first professional footballer to hold a commission. Evelyn Henry Lintott was killed in action on the first morning of the Somme offensive, in July 1916, aged just 32.